(1) [FREE GIFTS] Blogging Boot Camp Bonuses! Pinterest is one of the BEST ways to drive traffic to a new blog which is why we want to give you a copy of our Pinterest Booster E-book. ✅ How to formulate a Pinterest strategy that works for you! I also include all of our tried and tested personal tips and strategies which makes it super valuable! To date, Pinterest drives over 60,000 page views EACH month to our blog and I am confident that it will help you MASSIVELY as well. Get a copy of our Beginner's Blogging Bible which has the top mistakes that bloggers make, our blueprint on how to build a successful blog, and lastly, our Social Media Post cheatsheet. For you to succeed in blogging, you HAVE to be strategic which and organized which is why we put together this handbook. In this ebook, we detail everything that we wish someone told us when we first started blogging...and more! As you know by now, if you want to make money from your blog, you need hosting which is why we negotiated a special rate with our partners, Blue Host, saving you over $180! If you go with options 2 or 3 you will get a temporary URL from Blue Host after sign up. Whatever option you choose, please place your Blue Host URL after signup below so we can check your details and send over your free gifts. ✅ Save yourself the hassle of changing your name later on: Blue Host allows you to purchase hosting without picking your blog name. This means you can begin setting up your blog and pick your name later, once you understand what your blog will focus on. ✅ Get around $50 worth of freebies: Our aim is to help you succeed. 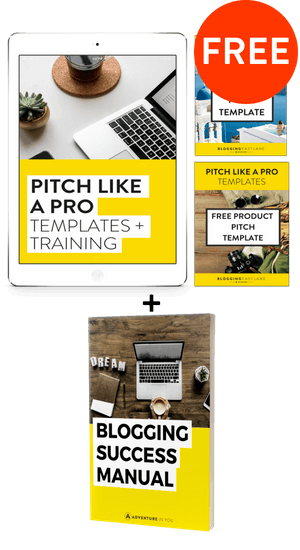 As an extra bonus, we want to give you tons of freebies and templates which helped jumpstart our blog. Get access to the Pinterest Booster E-book to help grow your following FAST and access to our Beginner's Blogging Bible which is jampacked with tips to help you kick start your blogging journey. ✅ Our Gifts are expiring: Due to high demand, we are only offering the Pinterest Booster and our Beginnger's Blogging Bible for a limited time. Get it now before the offer expires! ✅ Change your life: Blogging will change your life, just like it did for us. Use our top tips on creating a successful blog as a guide on what steps to take in order to succeed. ✅ Save time: These gifts will save you the most valuable thing...TIME! Use Pinterest to grow your traffic and use our tips and cheatsheets in the blogging bible to help you get started. These two resources transformed our blog, allowing us to start generating good income and we want to help you do the same quickly! Please, Do Not Make This Number 1 Mistake! After teaching thousands of people how to make money from blogging, we have identified the number one thing that causes them to fail. The Mistake: Not taking that first step! Which is why we want to motivate you by giving you around $50 worth of freebies! We've noticed that a lot of people stress about their blog name, logo, and all the other stuff. Sometimes, all it takes is for you to take that first step and commit yourself to starting a blog. Get started now and claim your FREE bonus gifts below! If you want to make money from your blog, you need hosting which is why we negotiated a special rate with our partners, Blue Host, saving you over $180!